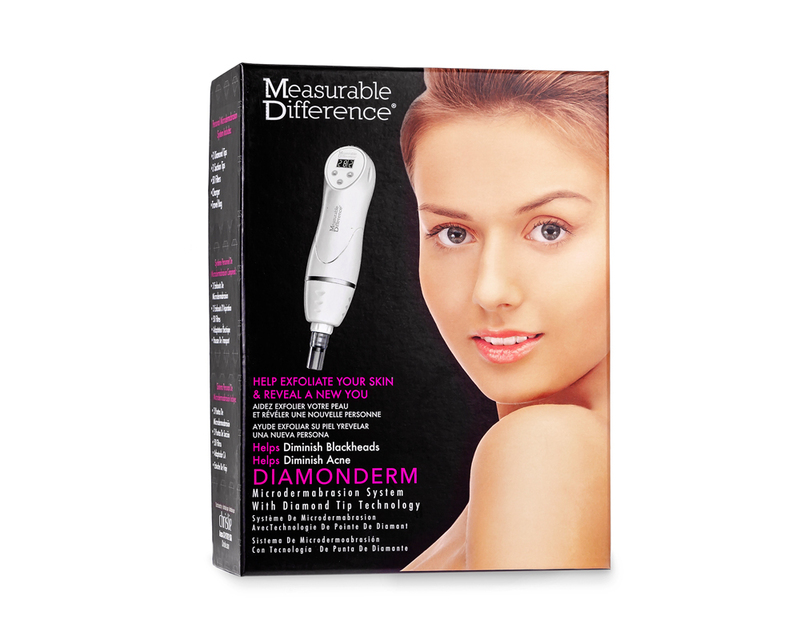 The Measurable Difference® Diamonderm is a patented portable handheld device with diamond micro-particles to help gently glide and exfoliate the skin’s surface, removing dead skin cells, impurities, and dirt-all of which are vacuumed into a disposable waste filter. This leaves the skin revitalized, revealing a more youthful look. Additionally, this device has suction tips to help extract blackheads while stimulating increased blood flow, thus helping to promote the skin’s natural collagen and elastin production, which will result in an even, younger-looking rejuvenated glow. The process helps to promote the growth of healthy, new cells, thus, allowing for more effective absorption of cosmetic facial skin care products.